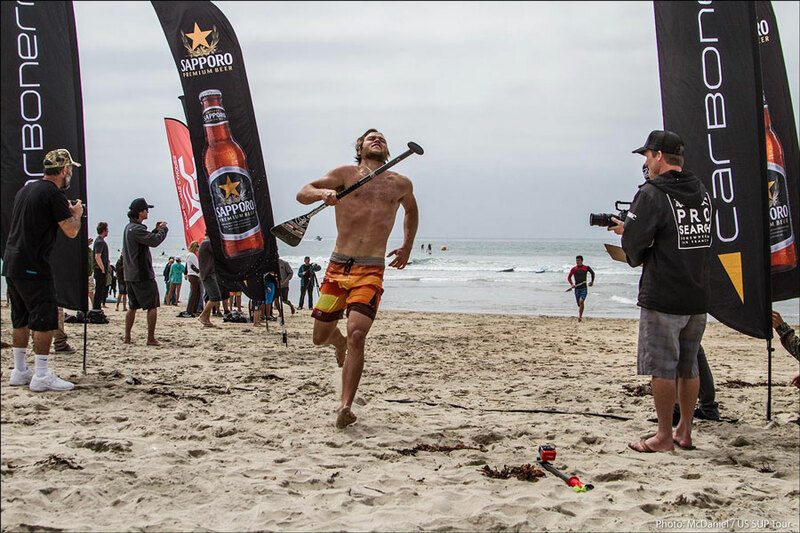 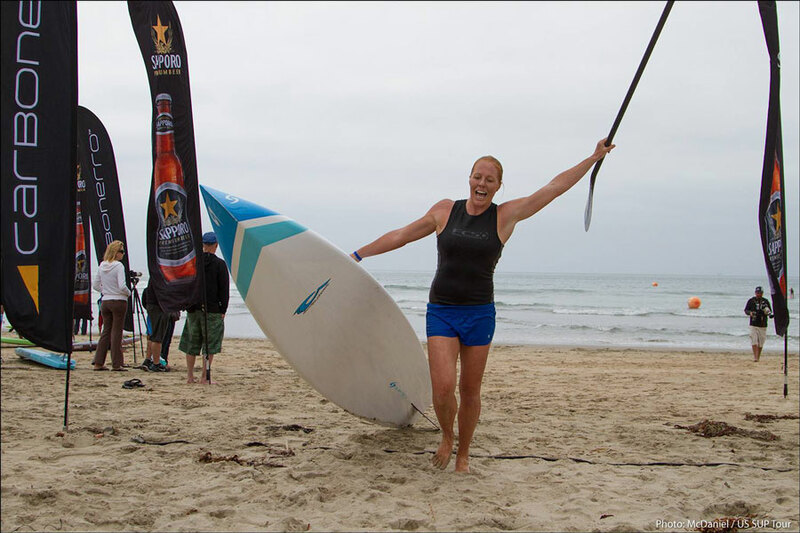 Slater Trout and Candice Appleby have taken out the U.S. SUP Tour at Huntington Beach today, winning their respective Pro Races in fun conditions and ahead of some classy competition. 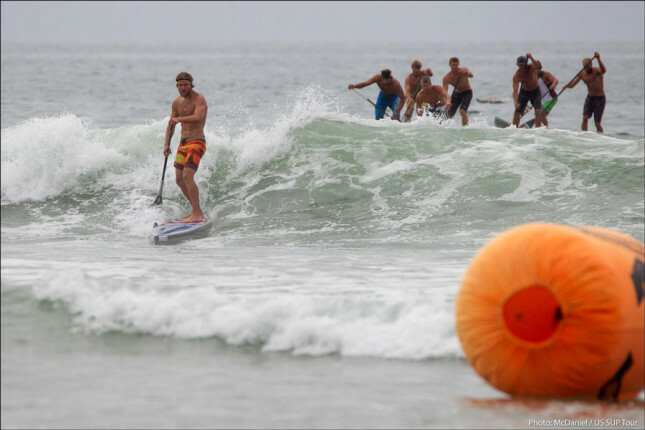 The first stop of the 2014 Tour drew a solid crowd of paddlers, with the men’s final in particular absolutely stacked with talent. But despite some nice 2-3ft waves playing a bit of havoc with the field and some close checking from the likes of Brennan Rose and Mo Freitas, it was Slater who took the win after out-sprinting Mo to the line. 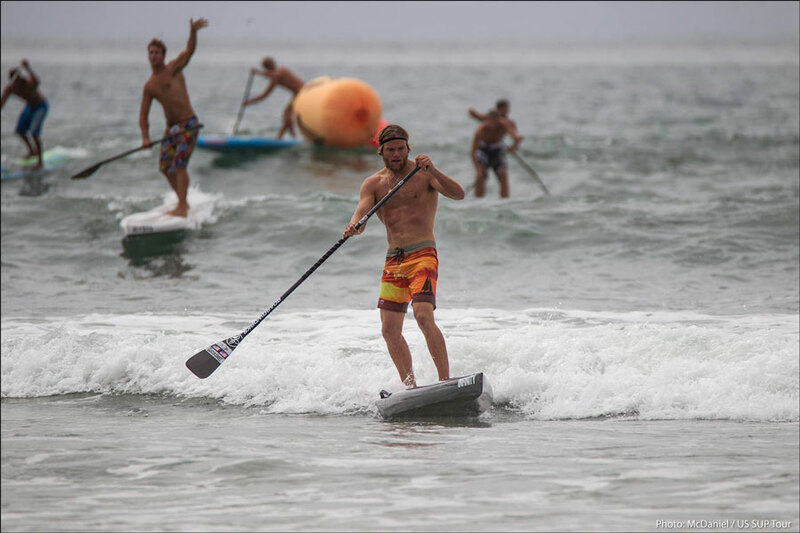 And, judging by the pics, it was a win that was performed in style. 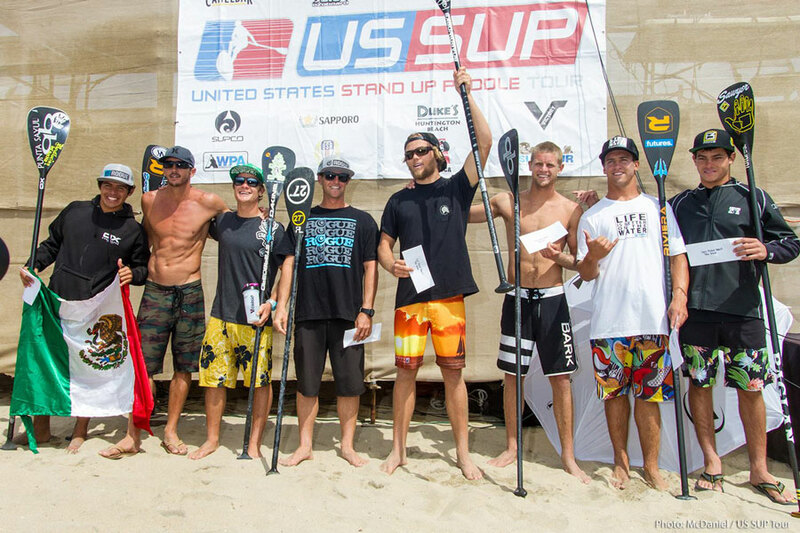 The win also earned Slater an invite to represent Team USA at the ISA World Champs in Nicaragua, which, judging by his excited post-race comments, he duly accepted. 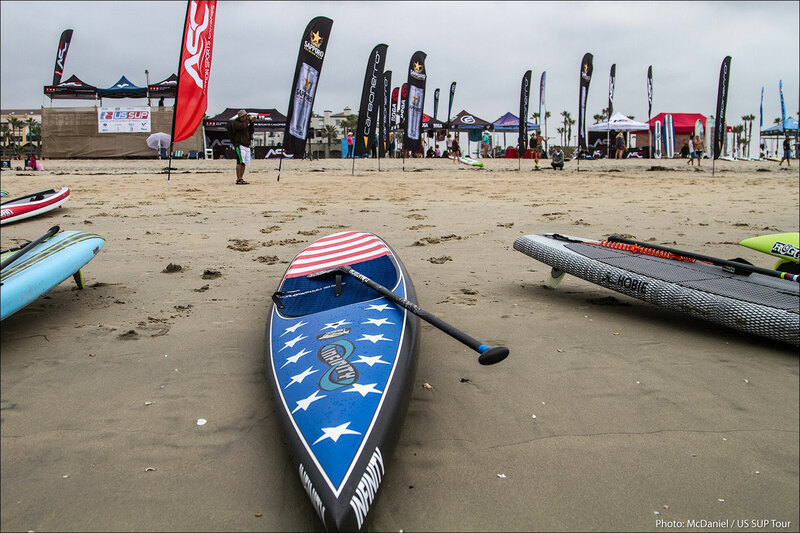 It’s rather fitting that Slater will be representing his country, given that he’s one of the most patriotic paddlers in the world (his current race board features an American flag style design, as seen below). 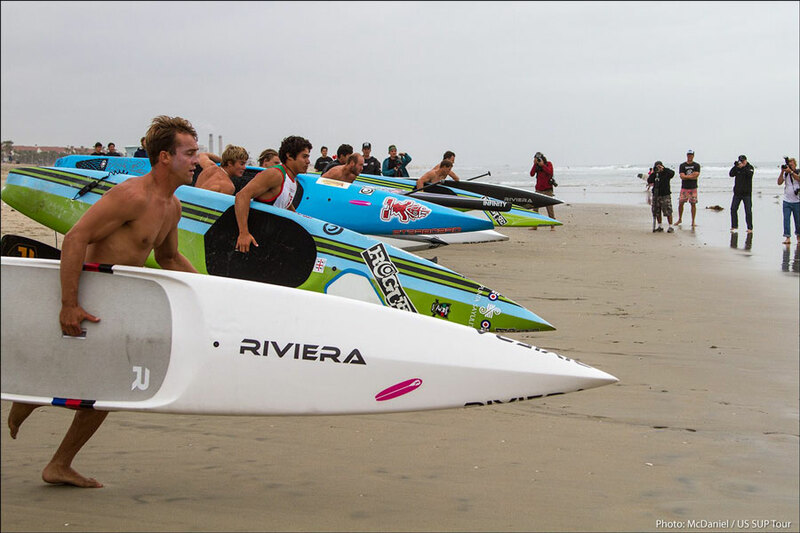 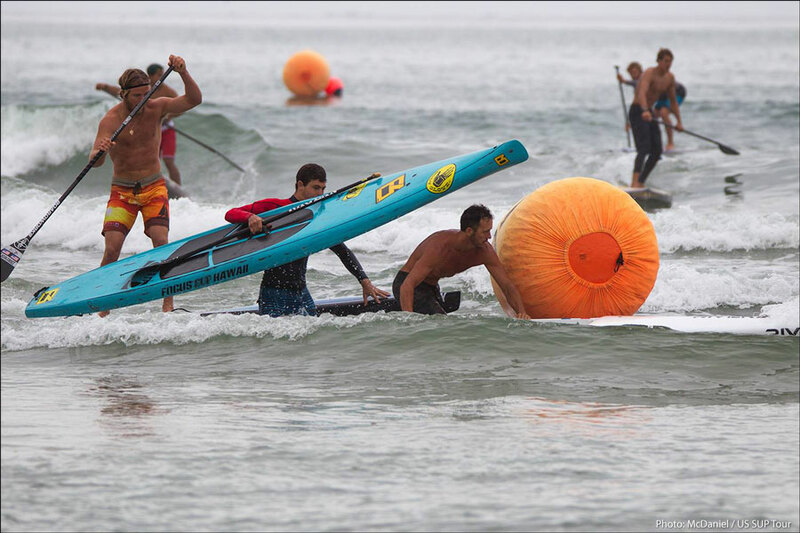 The inclusion of a high profile name such as Trouty also boosts the image of both Team USA and the ISA event itself, after the Americans left a hole in last year’s event by sending no SUP racers. 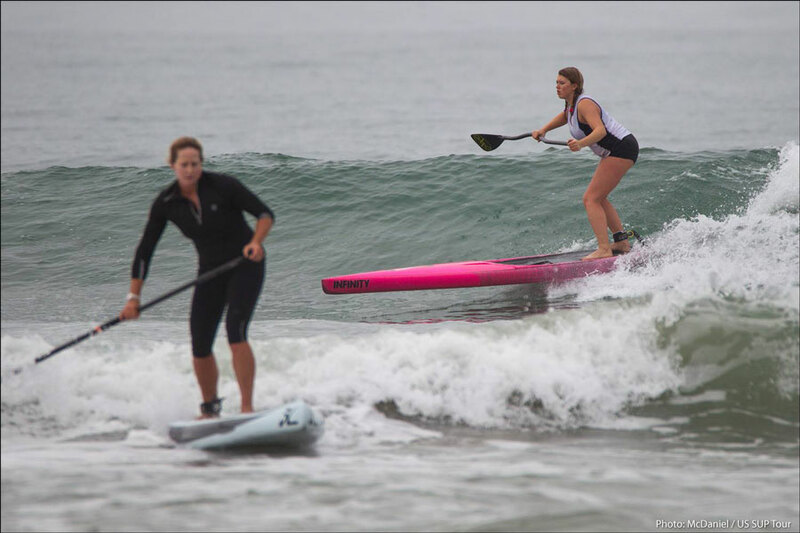 On the women’s side of Team USA, while Emmy Merrill has been confirmed as the SUP surfing rep, we’re not sure who’s up for the ladies (Candice has already said she won’t be in Nicaragua due to a conflict of dates with her Junior SUP Fiesta event). 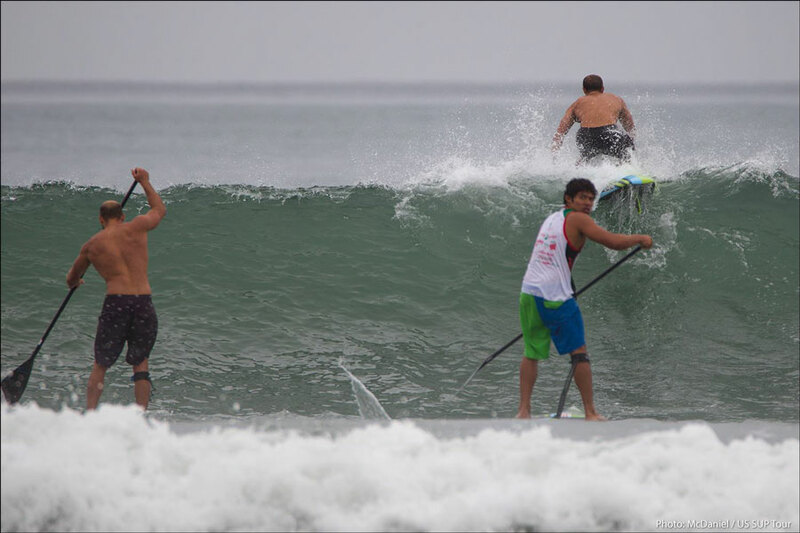 We’ll let you know the full lineup of Team USA when in the next day or two (UPDATE: Well that didn’t take long… Team USA’s Squad For ISA Worlds Revealed) but in the meantime check out some of today’s action below… (and get more pics on the official US SUP Tour Facebook page). 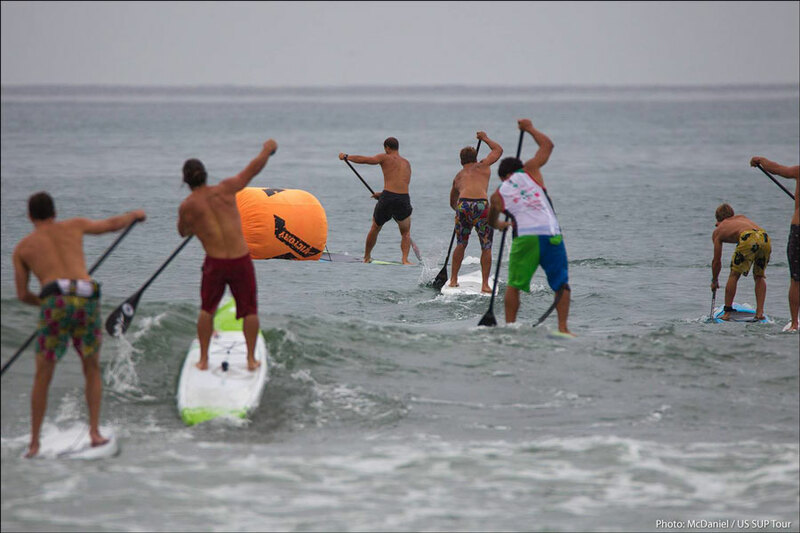 The other four guys in the final were: Josh Riccio, Ryan Helm, Javier Jimenez and Zane Schweitzer.